January, 27, 2008г. 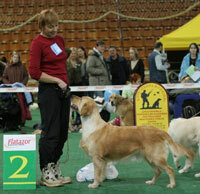 - a puppy show took place in RRK. Leta's and Right's kids, who could come, were there. They were: Max Golden Ruler (Rulik), Mars Reddy Planet (Marsik), Morgan Brave Captain (Ralfik) and Melissa Fantasy Girl - they all got "very perspective" mark. November,11, 2007. "Stolitsa-Autumn-2007". 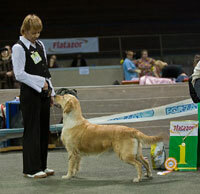 Mono-breed golden-retriever show (exp. Nenad Davidovic, Serbia) and regional show (exp. 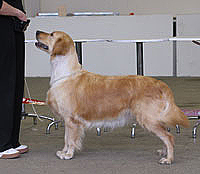 S.Slukin, the Ukraine) - Leta's and Right's son - Mars Reddy Planet debuted at the show and won his first victory in baby class: excellent 1, CW, the Best Baby of the Breed. 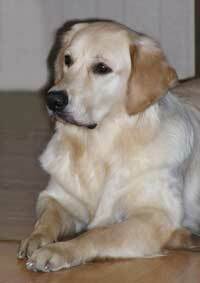 Our congratulations to Mars and his owners!!! 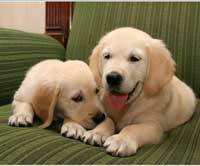 All our puppies have found their best masters and soon you will enjoy a new page about their life in new homes. 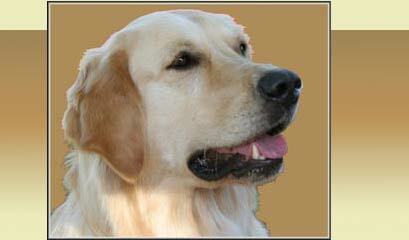 Rulik, our little star - Max Golden Ruler is still with us and is waiting for his masters. He has got all necessary veterinary care, well-bred, has wonderful temper - tender, obidient, true friend and just a beautiful boy. His photoes are here. Rulik and Mary went to the country-house, where they enjoyed the company of human kids - Marisha and Timofesha. You may watch the photoes here. Only three free puppies are left (a boy and two girls)! Their photoes you may see in the Gallery! 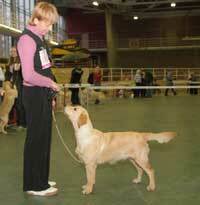 Our girls Melissa Fantasy Girl (Fanta) and Merilin Right Choice (Мary) have found their masters! 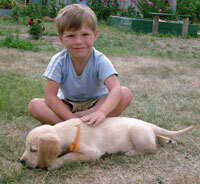 There are new photoes at the PUPPIES page. ATTENTION! There are only 3 babies left. 5 puppies have already found their new masters. SOON! 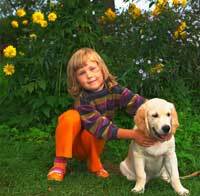 Puppies' photoes with their new owners. HOT NEWS! 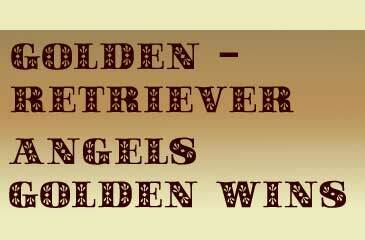 On June,1, 2007 puppies from ANGELS GOLDEN WINS+Sansue Sporting Knigh (Right) were born. 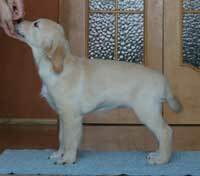 All information in "PUPPIES" page.